Philadelphian Olympic hopeful Paul Kroll, seen here in his headshot taken for USA Boxing, has been arrested and charged with attempted murder. 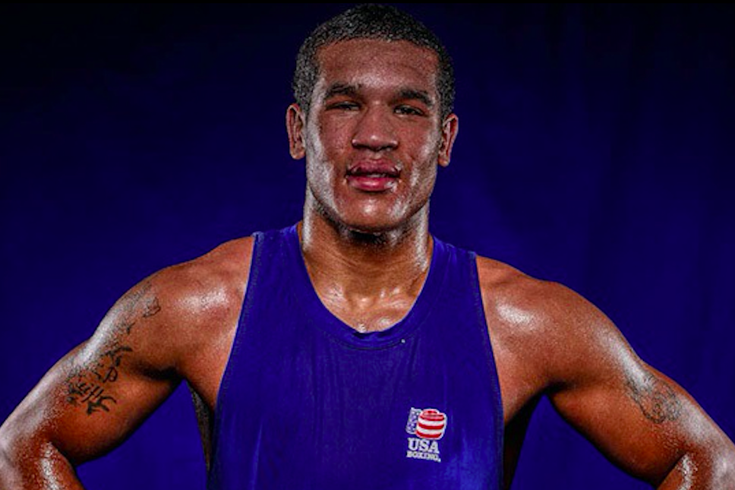 A 21-year-old Philadelphia athlete, who had hoped to attend this summer's Olympics in Rio de Janeiro as a member of the U.S. boxing team, has been charged with attempted murder, according to court documents. Police said that on Saturday officers in the 18th Police District in Southwest Philadelphia, arrested Paul T. Kroll, on charges of attempted murder, aggravated assault, conspiracy and related offenses. According to police, Kroll was arrested along with two other men by officers who had responded to a report of shots being fired at a home on the 100 block of South 55th Street. At least three people were injured in the shooting, law enforcement officials said Wednesday. Mugshots depicting Cardell Hellams, Gary Martin and Paul Kroll, taken at the time of their arrests. Officers reportedly found a 25-year-old male at the home, suffering from a gunshot wound to the stomach and, in front of the home, a 24-year-old male suffering from a gunshot wound to the right leg, police said. Both men were transported to Penn Presbyterian Medical Center where the 25-year-old male was listed in critical condition and the other victim was listed in stable condition. Approximately 10 minutes after that shooting, police said, a 15-year-old male was transported to The Children's Hospital of Philadelphia in a private vehicle with a gunshot wound to his groin, hip and leg, police said. This juvenile was taken into surgery in critical condition, according to law enforcement officials. 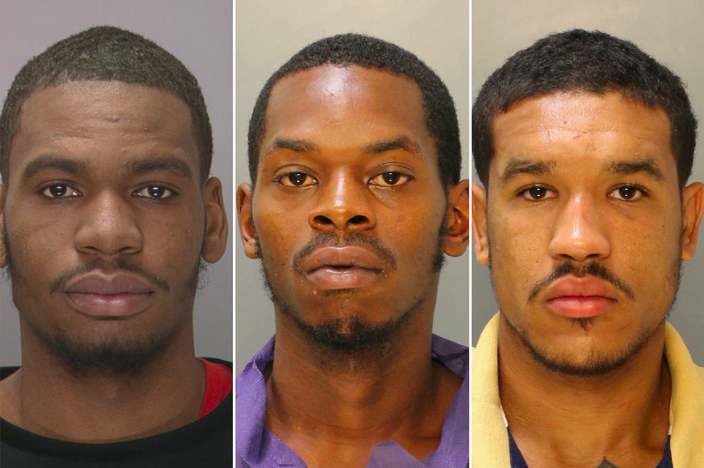 Police arrested Kroll, along with Gary Martin, 22, of the 100 block of West Ashdale Street and Cardell Hellams, 24, of the 2800 block of Newkirk Street for their alleged involvement in these shootings. The shootings were caused by an argument, police said. Kroll and Hellams have been charged with attempted murder and related offenses, while Martin has been charged with obstruction of justice and related offenses. Kroll, profiled by the Philadelphia Daily News in January, has had a promising welterweight boxing career. Though he was successful in earlier Olympic tryout bouts, Kroll lost his final chance to make the U.S.A. Boxing team. His Olympic hopes were dashed in July, when he lost a 3-0 decision against Germany's Arajik Marutjan at an Olympic primary event held in Vargas, Venezuela. A person at Kroll's main training gym, the Riviera Recreation Center at 3201 N. 5th St., told PhillyVoice that Kroll hadn't been there "in awhile." Kroll's trainer, Dirk "Grasshopper" Gooden said he was shocked by the shooting. Gooden's son was the juvenile injured in the incident — he said that his son is due for more surgery and is currently fighting an infection to his wounds. The trainer also said he didn't believe Kroll was capable of such violence. In fact, Gooden said, he didn't believe Kroll has ever held a gun. "This is a shock to my whole system," said Gooden on Wednesday. "He (Kroll) was never in no trouble. Not a trace of trouble." Kroll currently is in police custody and has his bail set at $1 million, according to online court records. He is due back in court on Sept. 16.